Even well before the 2016 EU Referendum and its aftermath finally showed it to be redundant, it was evident that, as a method of labelling political positioning and allegiance, the traditional one-dimensional Left-Right axis was inadequate and obsolete. As a description purely of what was long assumed to be mainly economic interest derived from social class, it was poorly equipped to reflect attitudes to non-economic, cultural and social factors such as civil liberties. 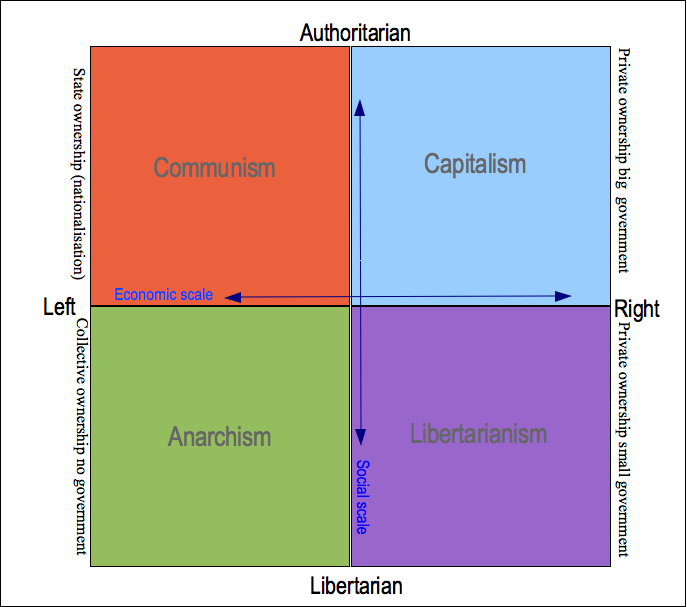 In contrast, the two-dimensional representation often called The Political Compass, which has for several years been a reference point for both academic psephologists (and political geeks like your columnist), handles this better. By differentiating the horizontal economic scale – big-government, high-spending, high-taxing, State-interventionist, collectivist Left vs small-state, low-tax, low-spending, private-enterprise, free-market Right – from the vertical socio-cultural Authoritarian vs Libertarian scale, it allows a more nuanced and accurate description. Yet even that has been shattered by the EU Referendum and its subsequent political fallout. We know that, with the exception of UKIP and the LibDems, both of whose electoral propositions were virtually defined by the EU question, the Referendum vote broke both ways across all pre-existing party allegiances and political ideologies. People voted how they did for varying reasons, but often in the same way as others with whom a political affiliation would have previously been thought impossible. As just two examples, more than 75 per cent of the mainly working-class and lower-middle-class electors of Boston, Lincolnshire, voted in the same way as High-Tory patrician grandees Boris Johnson and Jacob Rees-Mogg, while inventor and entrepreneurial businessman James Dyson voted in the same way as Paul Embery, the Left-ish leader of the Fire Brigades Union. This seems almost unprecedented in modern British political history. Nor, crucially, was it a temporary, Referendum-only blip. Not only has it not gone away, but it even appears to be solidifying. Politics has not, as the pundits expected and many still fervently wish, ‘reverted to normal’. The UK appears on the cusp of a major political realignment, which will render prior labels redundant. The old labels and allegiances have broken down: we need fresh labels reflecting the new allegiances which are forming, coalescing around commonalities of interest hitherto unimagined. Moreover, and contrary to the ‘Brexit has divided the country’ meme, while the EU Referendum may have epitomised and accelerated this, the Brexit vote did not, in my view, actually cause it. The Referendum merely exposed, and for the first time allowed to be articulated, deep political divisions which had been simmering away for several years among a significant segment of the population, who were in effect disenfranchised by the structural unwillingness of the centrist-consensus political settlement to accommodate them and allow their concerns to be voiced. This is what academic Matthew Goodwin means when he argues that the referendum result was ‘baked in’ for years before the actual vote. It’s arguably why, too, the result came as such a profound shock to the ‘Liberal’ New Class Establishment. How, then, to summarise, in convenient label form, the nature of the new divide and its opposing tribes? Some brief illustrations of its manifestations may be a guide. The multi-acronymed international organisations and EU-friendly big business corporates, whose dire warnings of immediate Armageddon, in the wake even of a Leave vote, were so wrong, remain implacably opposed to the Referendum result being implemented, and are colluding with the Government in a 2018 reprise of 2016’s Project Fear. Well-connected, but sinister lobbying interests continue to fund campaigns for what is claimed to be merely a People’s Vote (as if the one on 23rd June 2016 wasn’t) on the final exit deal, but whose intention to turn it into a 2nd Referendum in the hope of overturning the June 2016 plebiscite are barely concealed. Sections of the Remain-dominated media continue obsessively to pursue evidence for conspiracy theories to justify setting the 2016 result aside, seemingly impervious to the debunking and derision they rightly attract. On one academic psephologist’s estimate, approximately 63 per cent of Parliamentary constituencies voted to leave the EU. In contrast, about 70 per cent of the 650 MPs purporting to represent them strongly favoured remaining in it, and approximately 50 per cent of them, including the Government itself, are still trying to dilute Brexit to meaninglessness, or stop it altogether. On Monday 30th and Tuesday 31st July, respectively, articles in The Guardian by the Leftist Zoe Williams and in The Daily Telegraph by the (allegedly) ‘Conservative’ Chair of the DCMS Select Committee, Damian Collins, each demanded that the dissemination of news and opinion via social media be controlled. Both ‘Left’ and ‘Right’, agreeing on curbing free speech and restricting access to compliant traditional media channels no doubt susceptible to political persuasion or influence. These last two are especially significant, as they seem to encapsulate what many feel to be the essence of the new divide, and therefore the correct labels for its two mutually-incompatible protagonists – The People vs The Political Class, or in the wider context, The Establishment Elite vs The Rest Of Us. David Goodhart’s Anywheres vs Somewheres is one of the best attempts to date, but perhaps doesn’t quite catch it. 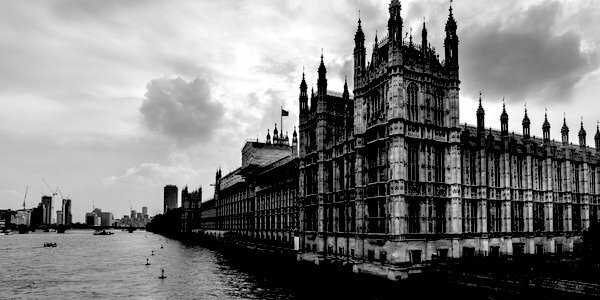 Given the Remainer Elite-Establishment’s predilection for intolerant, illiberal, political correctness, and its visceral aversion to mass democracy in favour of (its own) ‘enlightened’ bureaucracy, then ‘Authoritarians vs Libertarians’, or ‘Democrats vs Technocrats’, or something similar, may be the new political paradigm when the dust settles. At present, the incestuous political class and its amen-corner of media courtiers are so mired in self-referential Westminster Bubble groupthink that they are largely insulated from this burgeoning re-alignment, and therefore either uninterested or in denial about it. They also, let’s face it, all have vested interests in preserving the existing system. But there seems no doubt that something momentous is afoot, even if we are in its early days. The transition may be smooth and benign, but given the determination of the Elite-Establishment not to yield one iota of its hegemony, that might not be guaranteed. Major political realignments of this magnitude in an established democracy are a challenge. What Britain makes of it may set a course, for good or ill, for most of our lifetimes. Previous articleBBC Watch: As Grade joins criticism over Sir Cliff, will heads start to roll?